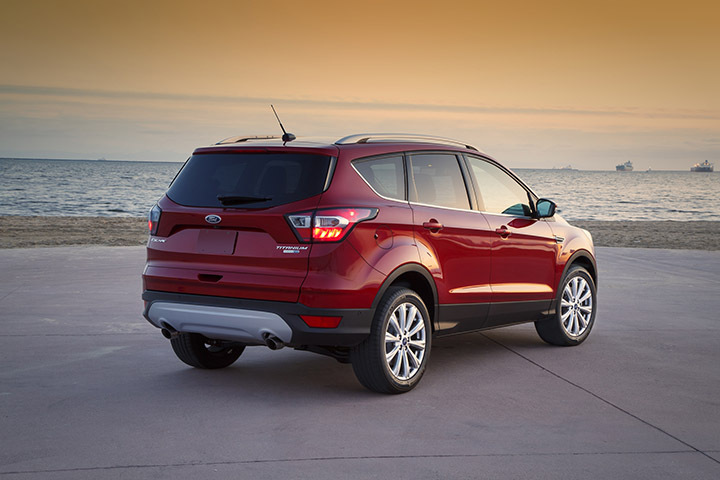 The new Escape features available SYNC Connect mobile access, which allows owners to use the Ford Pass smartphone platform to start, lock, unlock and locate their vehicle. It features driver-assist technologies such as adaptive cruise control and collision warning with brake support, a lane-keeping system and enhanced active park assist, all packed in a vehicle that’s been redesigned from the inside out. 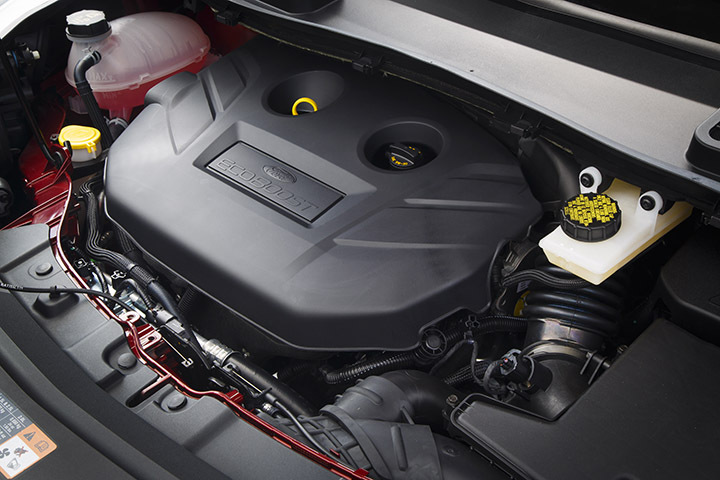 Escape is the first Ford vehicle to make Auto Start-Stop technology standard with either of the two EcoBoost offerings, a 1.5-liter engine and a 2.0-liter twin-scroll. Auto Start-Stop shuts off the engine during common stops, so the vehicle burns no gas and emits zero tailpipe emissions, restarting automatically when the brake pedal is released. In addition, Escape’s EcoBoost engines also add twin independent variable camshaft timing to this successful recipe. Ti-VCT offers up to a 7 percent improvement in peak power and a 5 percent improvement in low-speed torque for better acceleration, passing and merging performance, as well as up to a 4.5 percent improvement in fuel economy versus engines not equipped with the technology. These EcoBoost engines are mated to specially calibrated, six-speed SelectShift automatic Transmissions; The specially engineered torque converter contributes improved driving feel, silky-smooth shifts and even better fuel economy. Engineers also installed revised gear ratios for a balanced driving feel in all situations. Changes to the interior begin with a new push-button electronic parking brake that replaces the large hand-actuated parking brake, dramatically enhancing the front-row experience for customers. The gear shifter has been repositioned rearward for improved access to climate controls on the center stack. A media bin added at the bottom of the stack offers access to a USB port and covered power outlet. The redesign also brings improved cupholders, two new storage bins and a larger center armrest. An all-new steering wheel includes easy-to-work buttons for audio and climate controls, and a new swing-bin glove box provides easier access to stored items. 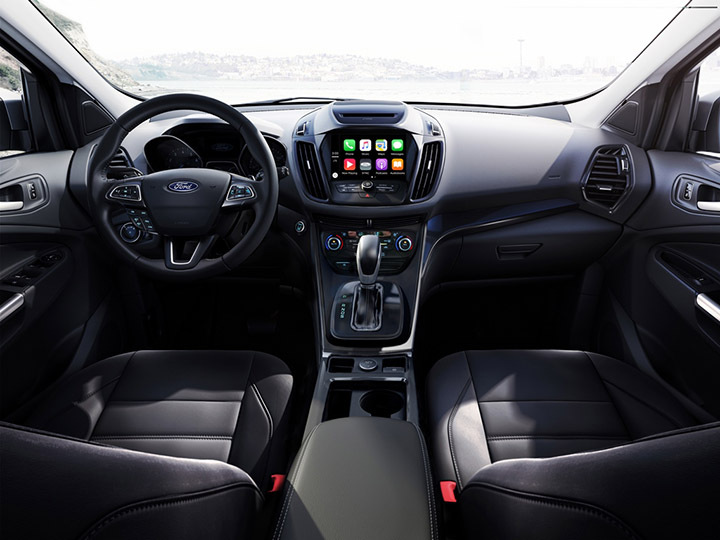 The Ford Escape combines outstanding fuel economy, versatility and helpful, intuitive technology in a sleek package to make it the smarter utility vehicle. 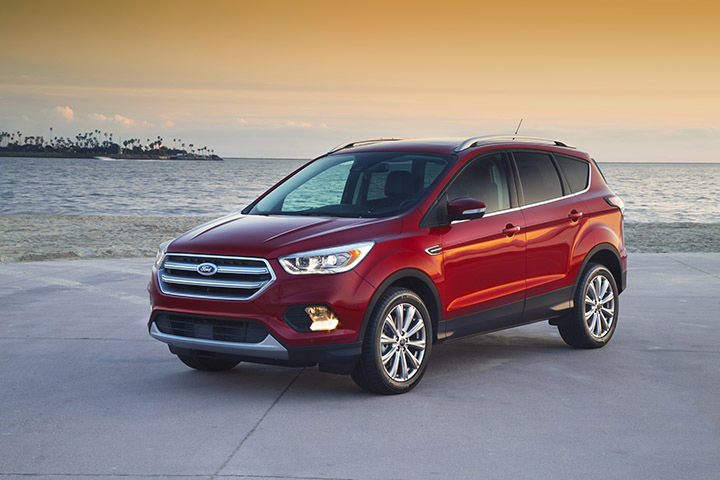 The manufacturer’s suggested retail price starts at $25,100.00 for the 2017 Ford Escape SE, the one I drove included Equipment Group 201A (SE Technology Package, Sync 3, Reverse Sensing System, Roof Rack Rails, Blind Spot Info System & Sync Connect) $1,395.00, Power Liftgate $495.00, Panoramic Vista Roof $1,495.00, Voice-Activated Touchscreen Navigation System with Pinch-to-Zoom $795.00, SE Sport Appearance Package $1,295.00 and it came in at $31,470.00 including Destination and delivery charges $895.00. The EPA fuel economy estimates 23 mpg city and 30 mpg highway. Posted in CAR REVIEWS, Ford.